Incredible team, incredible and very nice and easy to work with doctor. Bonus, he was a great conversationalist to chat whilegoing through the motions. 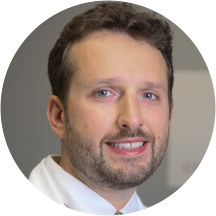 Dr. Gregory Burzynski graduated from the University of Texas at Austin with a Bachelor of Science in Neurobiology and later studied medicine at the Jagiellonian University Medical College in Krakow, Poland. He completed his internal medicine residency at the UT Southwestern Internal Medicine Residency Program at Seton Family of Hospitals in Austin and is Board Certified in Internal Medicine. Currently, he is a member of the American Medical Association, American College of Physicians, The Harris County Medical Society, The Society of Neuro-Oncology and the International Society of Travel Medicine. Dr. Greg Burzynski also completed a fellowship in integrative/functional medicine at The University of Arizona, Arizona Center for Integrative Medicine. Dr. Gregory Burzynski feels medicine should be predictive, personalized, preemptive, and participatory and this was his focus when forming Houston Concierge Medicine & Wellness Center. He is determined to work with patients to achieve their goals. He enjoys reading, studying new interventions to help people, exercising and travelling with his wife and son. Wonderful first visit. Myra and the Doctor were both great. Highly recommend! Dr. Burzynski is a professional and engaging doctor. Great clinic. Very modern and updated. Dr Burzynski was very friendly and concerned. He listened and asked questions. Punctual, which is my highest priority. Great nurse practitioner, but time with doc was short and rushed. In a kind way the doctor accused me of trying to have him commit fraud by completing my short term disability forms although I had been to ther ER twice before seeing him and my situation was diagnosed as severe bothtimes and also he diagnosed as severe himself the third time. His staff is rude obnoxious and I'm convinced that his biller who thinks she's a nurse and can speak for him... she's racist and has been extremely rude to me via phone and in person, Theresa Davis. On one phone call I told her why does she have to show frustration with me because I'm asking questions and she said because she has to keep repeating herself then lied and said she didn't say that once I stated the call was being recorded. I can go on and on but typing this is triggering my migraines. Each time I've tried discussing my horrific experiences with Theresa Davis the doctor blows me off which says that's the type of environment that foster and are fine with it. I'm supposed to trust everyone at the doctor's office with my most private information but constantly fighting with the biller everytime I call or visit. I can definitely give specifics on the different instances if needed. I have felt so disrespected in so many different ways in my life, especially at the doctor's office. Nice facility with friendly staff. The doctor was conversational and took the time to make sure I was clear on the diagnosis and treatment. It was overall a really good experience. The dr refused to understand my pain for one second and actually accused me of wrong doing in his office. I am now laying in bed unable to sleep bc I can’t move on either side in complete and horrid pain. Never again. Fast courteous service. Will definitely come again. First visit with Dr. B, and it was a wonderful experience. Lovely office, kind receptionists and assistants, and virtually no wait time. He listened thoroughly to my long list of issues, and came up with a game plan I’m hopeful about. The staff was very nice and professional. I wasn't rushed at all and felt like I was listened too. Dr. Burzynski gave me options for medication and explained the pros and cons of each and didn't push one over the other.I would definitely recommend this office and I will be returning in the near future. All over good visit. The office is clean and modern, the receptionists are super friendly. They even apologized for a 10 minute wait. Dr. Burzynski was very nice and spent much more time with me than I would have expected. Highly recommend! Wow. What a great experience. I have been searching for a doctor in Houston that actually cares about me and gives me a wide range of options for treatment. Very personable and great eye contact. Extremely informative about my issues. Very easy going and knowledgeable. He was genuinely concerned and interested in my pain - he went above and beyond to help me out. Thanks so much! And such a great office staff all around. He was honest and knowledgeable. He made me feel very comfortable to try something new. Staff and doctor were great and knowledgeable. It was amazing. The staff was awesome and friendly. Very nice!!! My new primary doctor!! Wonderful experience. Extremely beautiful clinic and friendly staff. Really great doctors office, staff was very accommodating and the doctor was thorough and provided very helpful suggestions! I will definitely be coming back in the future. Great doctor! He really cares about his patience!! Wish I had met him years ago to help me manage my care. I arrived early and already had most of the information needed finished online. I signed a few papers, and was seen before my appointment time. The staff is nice. It is very easy to speak to Dr Burzynski. Fast service. Smiley staff. Great doctor with deep knowledge and respect & care for the patient. Dr. Burzynski is a doctor who really cares. I felt like he took the time to talk to me and really get to know what the problem was. Everyone in the office was so nice. He is a great physician and really listens to you and your concerns. He will then review any treatment plans or questions you may have so you can betterl understand what is going on with your body. Dr. Burzynski's office was comfortable, and his staff was friendly and helpful. I waited less than 10 minutes from arriving to being seen by Dr. Burzynski and his nurse. They were able to meet my needs for the visit, especially thatthey had late availability on a weekday, which was convenient for my work schedule (the appointment was at 4:00 p.m. on a Wednesday). Awesome clinic. Friendly staff and awesome Doctor. Amazing doctor ! I have nothing but positive feedback for Mr Burzynski and staff. I thought he had a good bedside manor. It was nice to be able to have blood drawn quickly by staff instead of waiting for a full lab, and the office seemed to be very well run. Got me in same day from a referral from my neurologist. Very friendly and thorough. The staff was fast and efficient, I have never been in and out of a first appointment so fast. The doctor was friendly and helpful. I was very pleased with my first visit. I had an excellent appointment with Dr. Burzynski. I was seen immediately, the staff was friendly, and I really felt like the doctor took his time and listened. He was helpful in giving me different options for my condition rather thanjust prescribing medication (which he also was willing to do as well). Highly recommend and I will use Dr.Burzynski as my GP from now on. Hardly any wait time. Both doctor and staff were extremely patient and polite in answering all the questions. Doctor did explain everything in detail which sort of answered few follow up questions. Good, doesn't advise meds if not really needed. I felt comfortable with the doctor and he didn't seem rushed at all. The wait was a bit long but nothing outrageous. I love this place! Very nice staff and Doctor makes sure to make you feel comfortable and important when talking to you. Best Doctor!!!! Everything went smoothly, Dr. Burzynski and his staff were cordial and professional.